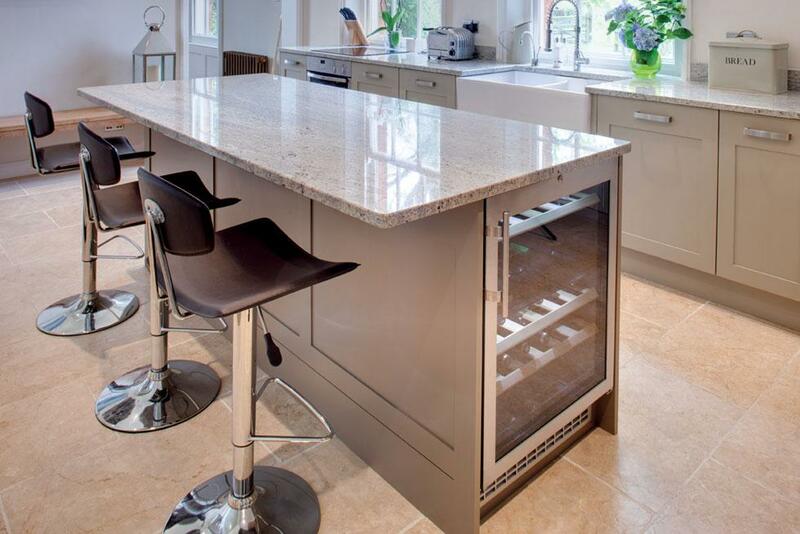 If you have looked at the opportunities of creating an open plan between your kitchen and the adjoining room you must think of putting in an island. 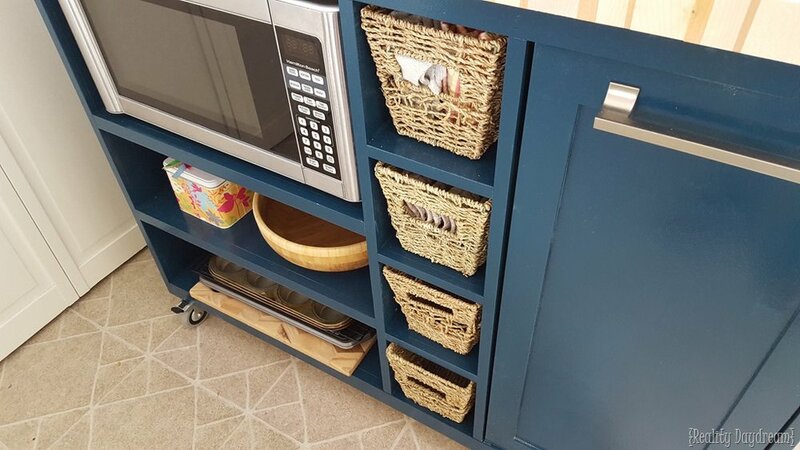 If that is the ultimate goal then there are many different & creative ways of creating storage in the island to make it super functional, stylish and handy for everyone in the household. Now I can show you a 100 different ideas, but today I will stick with 5 and I know you will love them!! #1 Who does not love Wine Storage? Think about storing your prized wine in the Kitchen island with a wine cooler for the whites and an open rack for the reds. Housing this at the end of the island works better as it becomes easily accessible and it is visible clearly to guests too who can point out which one they would like to taste. Instead of using one narrow end of the island one can even use the length of the island and then spread the storage of various items across it, Storage of wine glasses, other liquor bottles and accessories. 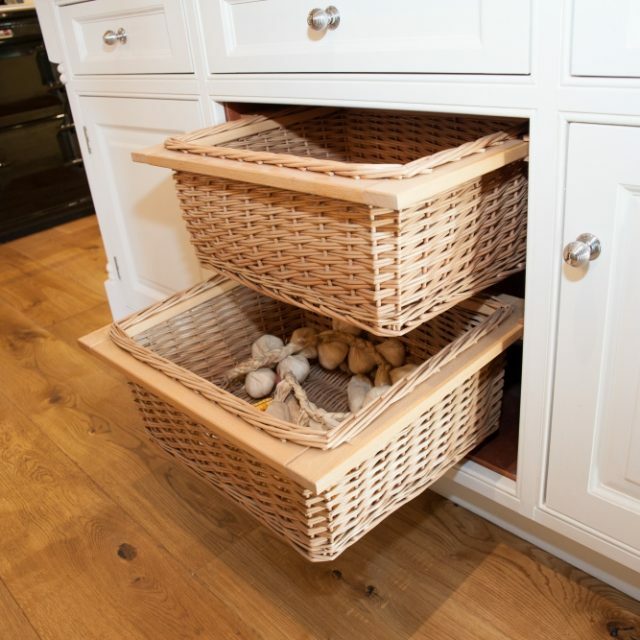 Country style basket storage makes the island experience nostalgic and at the same time allows to stow away all your root vegetables and produce is a stylish way while making sure they get enough air to keep them fresh and dry. The basket weave also adds texture and color to the cabinetry finish & style. 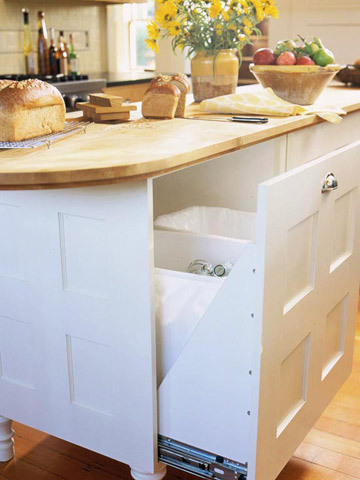 Storage in this way can not only be for vegetables but can also be for storing bread loafs, daily cutlery, plates, napkins as well as spice bottles. 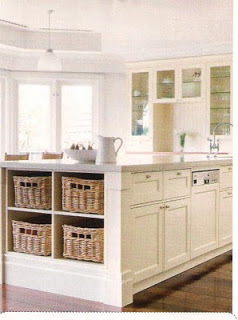 Basket combinations on the end of cabinets makes it easy to access and looks good. We all love to own cookbooks but many a times we do not know how & where to put them away. Kitchen island storage of seems an easy and convenient option to store away cookbooks as they are not in the way of prime cabinet area storage but near enough to access when needed. Storing them at the island also allows our guests to peek in and take interest in our book collection while we are busy cooking and chatting. A microwave oven in the island and under the counter can be a nice touch to a kitchen. It makes the the island look functional and cozy because it is!! Besides it aids in easy access to take out food plates that one can actually see. It is also convenient for kids to operate who cannot reach higher up. The most important of all is that it is part of and a very point for Accessible Design for the elderly, or someone on a wheelchair. That makes it organic and convenient. Microwave in this kitchen is also built in and is close to the main oven. The kitchen island can be a perfect location in a kitchen to stow away those pesky recyclable bottles, cans and even Green Compost material before it is time to haul them outside. The island drawers built for this are sturdy, deep and big enough for a 2 week collection of items so you do not have to take them out every weekend. Just make sure you rinse them well or they may get a little smelly!! When you are planning to create such personal custom storage in your kitchen, I tell you wood is the best product to work with. Custom storage will also mean a well designed kitchen and then you can rave that you have a custom designer kitchen since its going to be the hearth of the house.